Fraudsters are targeting people in Northamptonshire by calling them and requesting payments for a “phantom” debt. The con involves being cold-called by someone purporting to be a debt collector, bailiff or other type of enforcement agent. 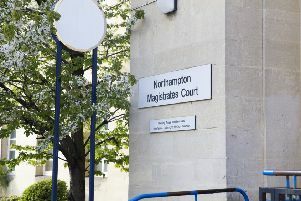 A spokesman for Action Fraud, who work with Northamptonshire Police and other forces to issue crime alerts, said: "The fraudsters are requesting payment, sometimes by bank transfer and, if refused, they threaten to visit homes or workplaces in order to recover the supposed debt that is owed. "In some cases, the victim is also threatened with arrest. From the reports Action Fraud has received, this type of fraud is presently occurring throughout the UK." To learn more, please take a look at some of the helpful information and links on the Step Change Debt Charity website. - Make vigorous checks if you ever get a cold call. Bailiffs for example, should always be able to provide you with a case number and warrant number, along with their name and the court they are calling from; make a note of all details provided to you. - If you receive a visit from a bailiff, they must always identify themselves as a Court Bailiff at the earliest possible opportunity. Ask to see their identity card which they must carry to prove who they are, this card shows their photograph. - If you work for a business and receive a call or visit, be sure to speak with your manager or business owner first. Never pay the debts yourself on behalf of the business you work for; some fraudsters have suggested employees make payment suggesting they can then be reimbursed by their employer when in reality the debt is non-existent. - Exercise caution believing someone is genuine because you’ve found something on the internet; fraudsters could easily create fake online profiles to make you believe them. - Double check with the court, company or public body they claim to work for to confirm whether the call is legitimate; if you use a landline make sure you hear the dialling tone prior to dialling as the caller could still be on the line and you could potentially speak to the fraudster(s) to confirm the non-existent debt. Also be sure to independently search for a telephone number to call; never use a number provided by the caller without carrying out your own research. - Do not feel rushed or intimidated to make a decision based on a phone call. Take five and listen to your instincts. - If you know you have a debt, keep in regular contact with your creditor and be sure to establish the debt type at the earliest opportunity if you are not aware. This will help you to understand who might be in contact with you regarding any repayments or arrears.